In Medjugorje, there are cars that are for rent. Renting a car is one of the best and easiest way to explore the beauty of this place. If you are going to rent a car, you have two options. You can either rent a car plus the driver or just rent a car and drive for yourself. There are rent-a-car companies in Medjugorje that can provide you the car you want. You can call them or visit their office personally. These rent-a-car providers have English-speaking drivers, which is a big help for foreigners. 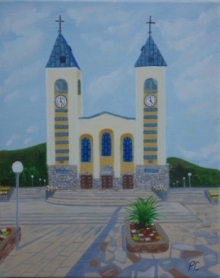 Taxi is available in the city of Medjugorje. Since the city is not that big, it may cost you less to ride this kind of transportation. If you are a foreigner, it is suggested for you to have a small talk with the driver while in the taxi. This can promote a good relationship between you and the driver. This taxi driver might be of help to you. He can also give you stories that will let you be familiar of the place. The driver as well can teach you the places that are good to visit. Just be friendly to the driver and you will have a fantastic travel around Medjugorje.